CHICAGO, IL, March 10th, 2016- It gives us great joy to point the spotlight on country music legend, Grammy nominated artist and winner of numerous Academy of Country Music and Country Music Association Awards, the Texas Tornado herself, TANYA TUCKER. CSC presented the country music star with her official Country Stars Central cover earlier this year at the Arcada Theatre in St Charles, Illinois November 1st, 2015 on the superstar’s tour bus after our sit down interview. Known for mega-hits “Delta Dawn,” “Two Sparrows in a Hurricane,” “It’s a Little Too Late,” “Down To My Last Teardrop” and “Strong Enough To Bend”, these songs have solidified the long-lasting legacy of one of music’s most treasured entertainers. We’d like to thank Tanya, her tour manager James, stylist Rod and publicity staff at Webster PR for their time and generosity. We are blessed to call you friends of CSC! CHICAGO, IL, January 8th, 2016- It is our great honor to shine the spotlight on country music icon, three time Grammy Award winner, Country Music Hall of Famer, and winner of numerous Academy of Country Music and Country Music Association Awards, the Gambler himself KENNY ROGERS. 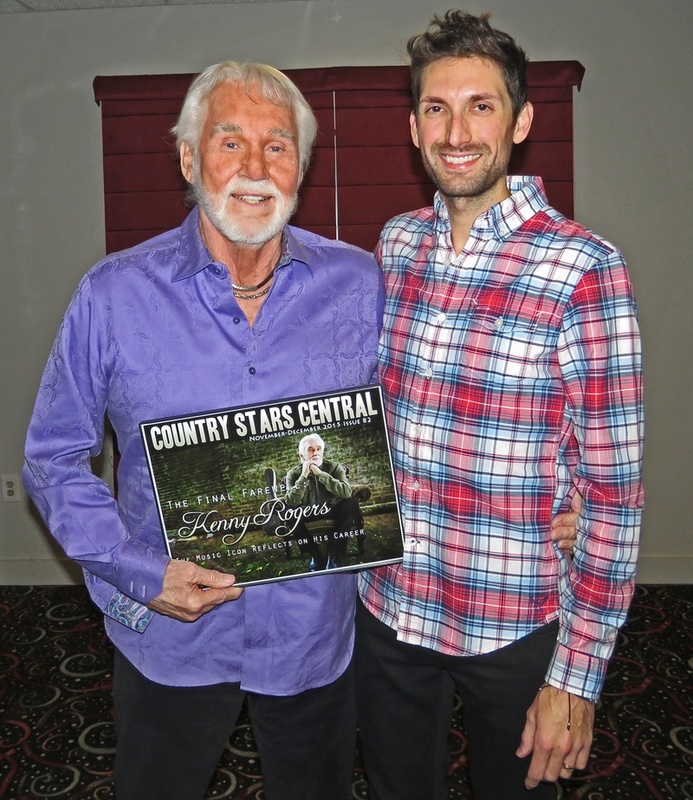 CSC presented the country music star with his official Country Stars Central cover backstage at the Star Plaza Theatre in Merrillville, Indiana this past November 28th, 2015. Known for mega-hits such as “The Gambler,” “Coward of the County,” “Lady,” “Lucille” and “She Believes In Me” just to name a few, these mega-hits have solidified Kenny as one of music’s most beloved artists. We’d like to thank Kenny, his tour manager Gene Roy, and publicity director Jason Henke for their time and generosity. We are proud to call you friends of CSC! 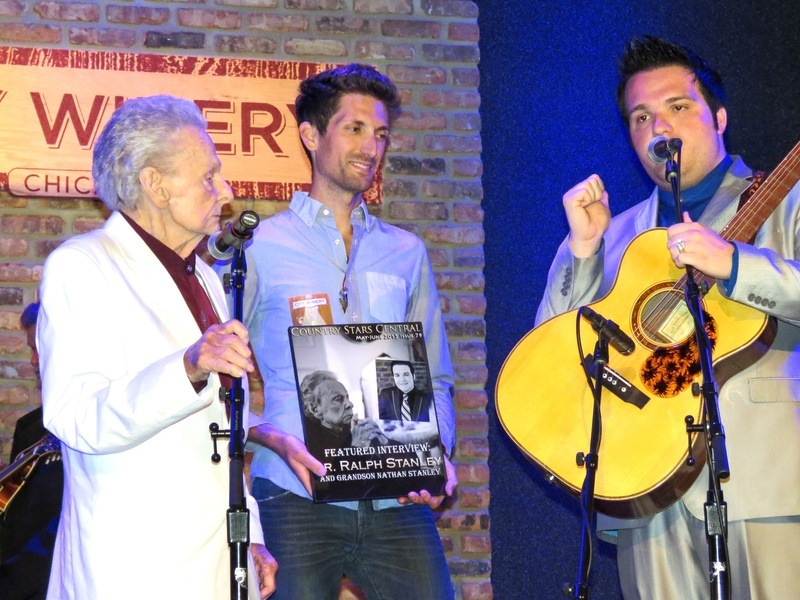 CHICAGO, IL (August 10th, 2015) – Country Stars Central recently presented legendary Bluegrass music icon Dr. Ralph Stanley and his multi-talented grandson, Nathan Stanley with their May-June 2015 cover story backstage after their breathtaking performance at Chicago’s City Winery on Sunday August 2nd, 2015. At 88 years young, Dr. Stanley proved that he still has what it takes when it comes to delivering a chilling performance. Immediately upon taking the stage, Dr. Stanley was warmly welcomed by a standing ovation and solid applause. With his loving grandson right there beside him, Dr. Stanley and his band, The Clinch Mountain Boys effortlessly breezed through one hit after another. He opened the show with “Man Of Constant Sorrow,” the Grammy Award winning song that helped introduce Bluegrass music to an entirely new audience. 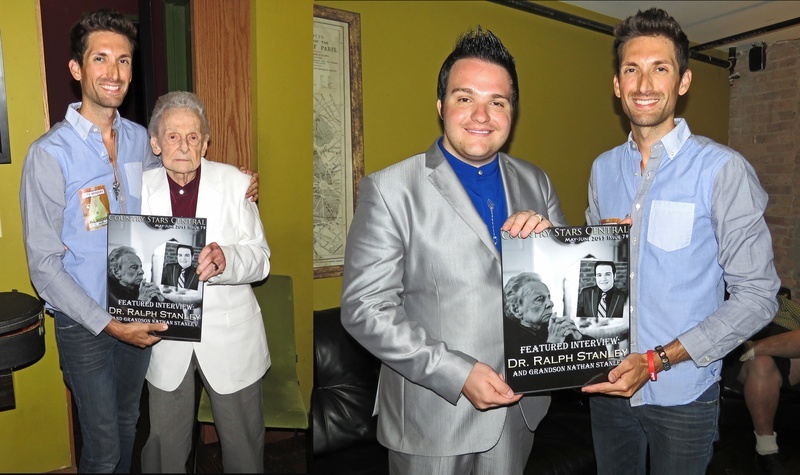 Be sure to check out Part I of our interview with Bluegrass icon, Dr. Ralph Stanley and his grandson Nathan. 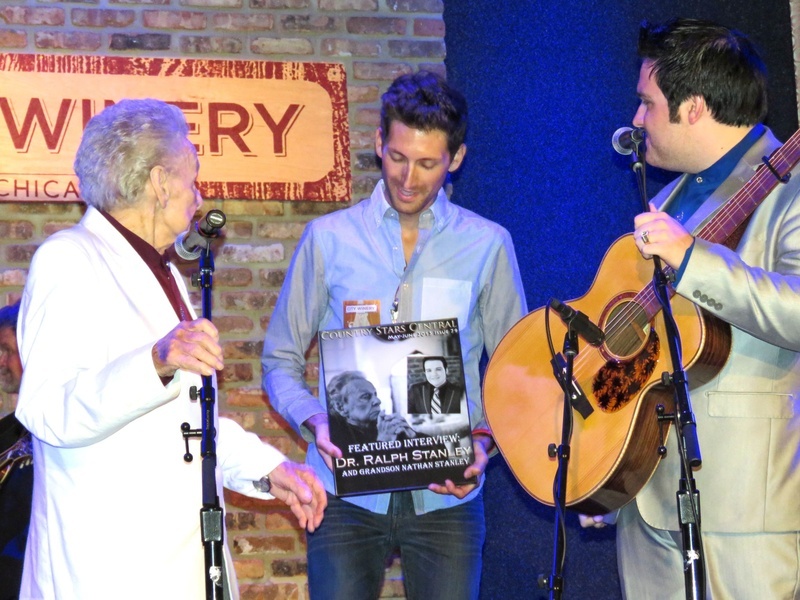 Dr. Ralph discusses his latest album “Man Of Constant Sorrow,” celebrating his 70th year of performing, his thoughts on recording a duet with country music star Lee Ann Womack and MUCH MORE! In Part II of our interview with the multi-talented Charlie Worsham, the star talks about songwriting, his fans, who his dream duet partner would be and much more.